She appears, an enigma, a guardian angel in a mask and fedora, her past shrouded in mystery. Where did she come from? What secrets in her past drove her to become a crusader for justice? Who is The Pulptress? 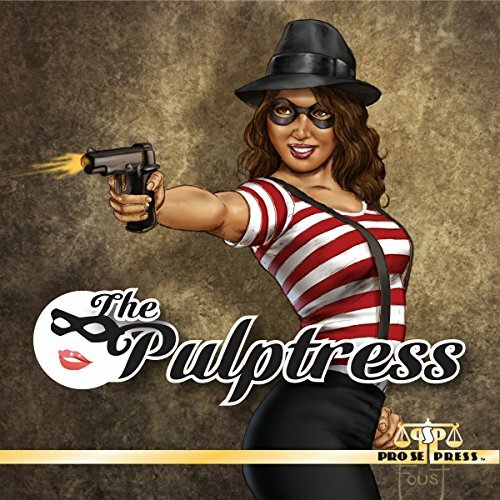 The Pulptress, the masked woman of mystery, makes her debut on the new pulp scene in a collection of stories sure to thrill and amaze you. Leading off with an introduction by The Pulptress' creator, Tommy Hancock, this collection features stories by Terry Alexander, Ron Fortier, Erwin K. Roberts, Andrea Judy, and Tommy Hancock! With a fantastic cover by Mitch Foust and beautiful design work by Sean Ali, this collection is a must have! It's time you met the first lady of new pulp from Pro Se Productions! What did you love best about The Pulptress? Different interpretation of hero by various writers. What was one of the most memorable moments of The Pulptress? When she meets Brother Bone. Which character – as performed by Julie Hoverson – was your favorite? There are two places in the recording, when the same sentence is repeated Something that should have been caught and edited.